A new challenger has entered the game — and he's adorable. It’s hard to resist petting a dog. Even at a soccer game, and even if you’re one of the players. In fact, the response was quite the opposite. "It's not just the players who wanna show talent here, the dog is also a part of the show!" the announcer cheerfully proclaimed. 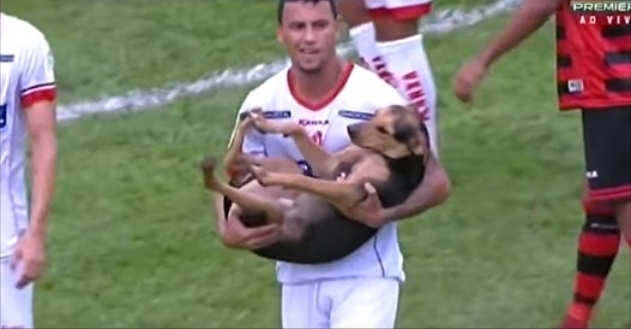 Responses to "Dog Interrupts Brazilian Soccer Match, Announcer Has The Best Reaction"
Very weird way of picking up a dog.